1950s Music – 1955 now it begins. A group from Chester, PA, Bill Haley and the Comets, was performing an odd blend of Country, R&B and Swing. The sound and the band gained some popularity, particularly at the New Jersey shore. Then a tune they had recorded in 1954 was used in the movie, The Blackboard Jungle. That song, Rock Around the Clock became the first Rock and Roll title to top the charts. At Chess Records in Chicago, they wanted to capture the sound of R&B and marry it to the new Rock and Roll. 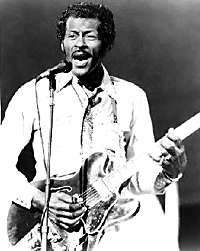 Bluesman Muddy Waters introduced Leonard Chess to Chuck Berry, who brought in a song called Ida Red. Which wasn’t too catchy, so they renamed it. Maybellene. Before Maybellene, he studied hairdresssing and cosmetology at a St. Louis night school. What a difference a song can make. Elvis Presley was still just a regional artist, popular in the South. 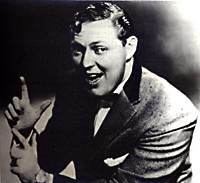 1955 spawned five titles considered by the Rock and Roll Hall of Fame to be among the 500 Most Influential – Ain’t That a Shame (Fats Domino), Earth Angel (The Penguins), Mannish Boy (Muddy Waters), Maybellene (Chuck Berry), and Rock Around the Clock (Bill Haley and the Comets). But, enough of that history stuff.